A lot of recent attention has been directed at the government’s blatant interference in the recent NGO trial with concerns about judiciary independence in Egypt. More important, however, is how this incident highlights Egypt’s manipulative system of legal loopholes. Over the years Mubarak’s legislative body has produced a series of laws and amendments that are carefully crafted so as to create ambiguity. These loopholes have allowed the authoritarian regime ample grounds for political interference subject to its own interpretation: how it sees fit, when it sees fit. Essentially, these ambiguous laws allow institutions to exist in an “illegal” form by default. For example, even though Egypt’s NGO Law 84 (2002) states that if a registration application for an NGO is not formally rejected within 60 days, it should be considered approved; they are never formally accepted but given pending status. Limbo status means that according to the law they should “consider” themselves approved but they never actually receive formal approval. And this isn’t restricted to Mubarak-era laws either. In fact we’ve seen the same legal ambiguity being systematically utilized after Mubarak’s downfall. The country’s new parliament, for example, seems to have been elected unconstitutionally according to a ruling by Egypt’s High Administrative Court. 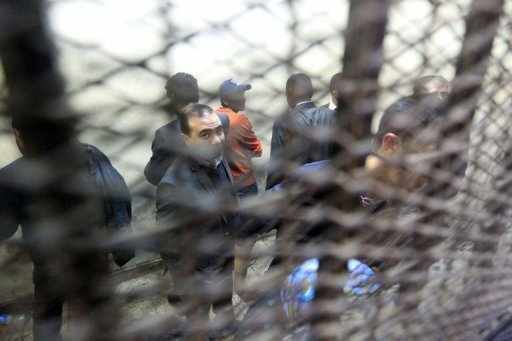 Thuggery exclusion in the cancellation of Egypt’s Emergency Law is another loophole. Even, the country’s constitutional declaration hasn’t been spared. Not only does legal ambiguity set the stage for political interference, it’s also an effective tool for intimidation. These institutions can only operate under the threat of legal action, should they ever “step out of line”. Rather perversely, legal vagueness also seems to shield “judicial independence”. Rather than being seen as simply following executive orders, Egypt’s judiciary are presented as independently interpreting the law, albeit an ambiguous one. In a way, this set up has allowed some judges to dismiss legislative reform as “none of their business” and to continue to operate under the pretense of “judicial independence”. This has all changed, however, with the government’s sudden change of heart and rude interference in judicial proceedings. That subtle façade of independence has been torn down and Egypt’s judges now face an existential crisis of sorts. In response to this article Karim Malak (@KarimMaged), a researcher at the AUC’s political science department, disagrees with this theory and explains that while blatant government manipulation of NGOs exists, it is not because of legal loopholes. Egyptian laws are good. Please read his excellent article here.